Get ready for some unabashed Robin van Persie loving, folks! PFA Player of the Year: Robin van Persie. There is only one man who’s going to take up today’s post. I’m sure you’ll all agree, he’s been nothing short of magnificent this season. 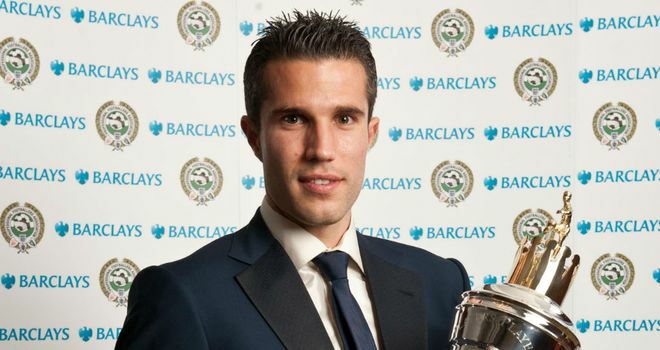 Last night, his peers voted Robin van Persie the award for player of the year. It made me think about the impact a fully-fit Robin could have had on our previous pushes for the title. Would our silverware drought be a subject for conversation any longer had he played the whole of 2008/2009? Probably not. It’s such a shame that niggling injury has denied us the regular services of a genuinely world class forward. This season, with those injuries behind him, he’s shown the impact he can have. Whether is be a poachers goal, or a miraculous 25 yard thunderbolt, Robin has proven he is a centre forward with everything in his locker – he’s even pretty handy in the air. Before yesterday, only Liam Brady, Thierry Henry and Dennis Bergkamp have picked up the same award. He can join those safe in the knowledge he’ll be club legend for many years. Robin van Persie deserves every bit of praise he’ll be getting. Like all of you, I can only thank him for his performances and goals this season and hope he’s around for a good few years yet. That’s all for today, folks. What is your favourite Robin moment? Lets me know in the comments section below.